Colour, pattern, beauty. Is it not amazing that nature evolves such spectacular art? 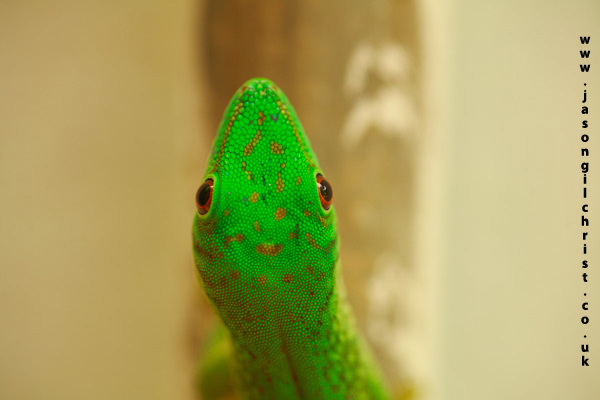 Giant green gecko (Phelsuma madagascariensis grandis) lizard (reptile).